The autoflowering version of our Blueberry is new to the Seeds66 catalog. To obtain this plant, we have made a comprehensive selection of our Original Blueberry. 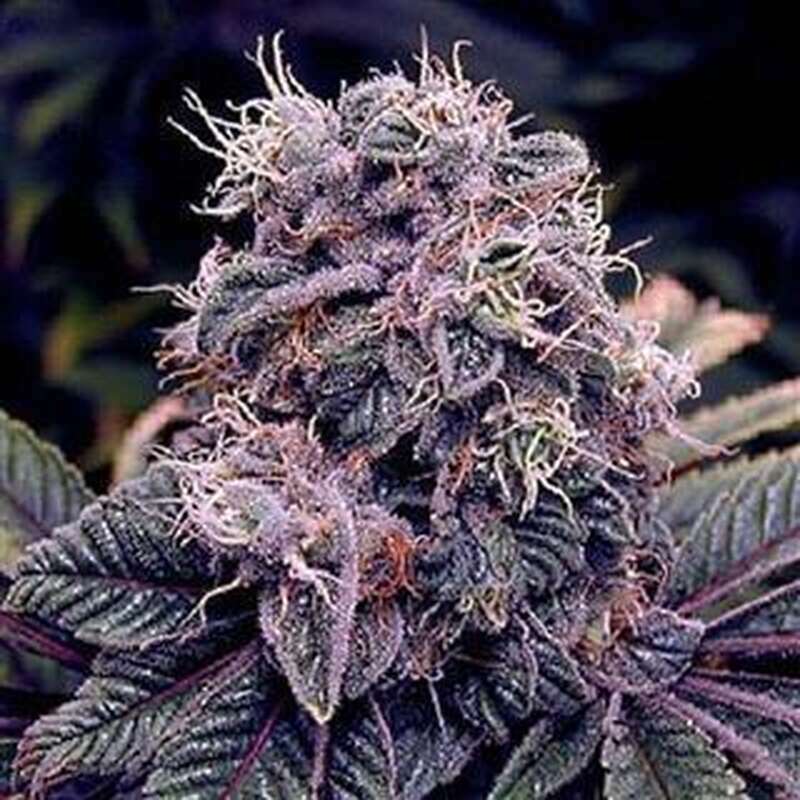 She was then crossed with a Rudelaris to achieve an autoflowering function designed to preserve all the color and taste characteristics of the original Blueberry. Blueberry Auto is very easy to grow and adapts easily to all kinds of growing dian. For this reason, it is an ideal strain for experts as well as for beginners who are just beginning their first harvest. The structure of Blueberry Auto is common in hybrids, with a mean distance between junctions whose size can vary between 70 and 120 cm. For this reason, it is a plant that easily adapts to SoG cultures. At the end of flowering, their branches are filled with thick, resin-impregnated buds that show rich purple and purple tones. Blueberry Auto offers all the flavor and aroma of Original Blueberry. For this reason, it exudes the characteristic aroma of berries during flowering, which will delight anyone who tastes it. In terms of the yield of Blueberry Auto can be said that it is high. In about 70 days this variety can offer up to 180 grams of wonderful fruits per plant in sunlight. When grown indoors, its yield can reach 400 grams per square meter. Blueberry car has a mild effect. Ideal for smoking during the day. This variety has a narcotic and relaxing effect but no knock-down effect. It is therefore the perfect companion for all occasions where you want to enjoy the full flavor of the forest fruits without being too stoned.